A-Doc, a network of Asian American documentary filmmakers, is committed to foregrounding the voices of Asian Americans, people of color and diverse communities across the US and beyond. 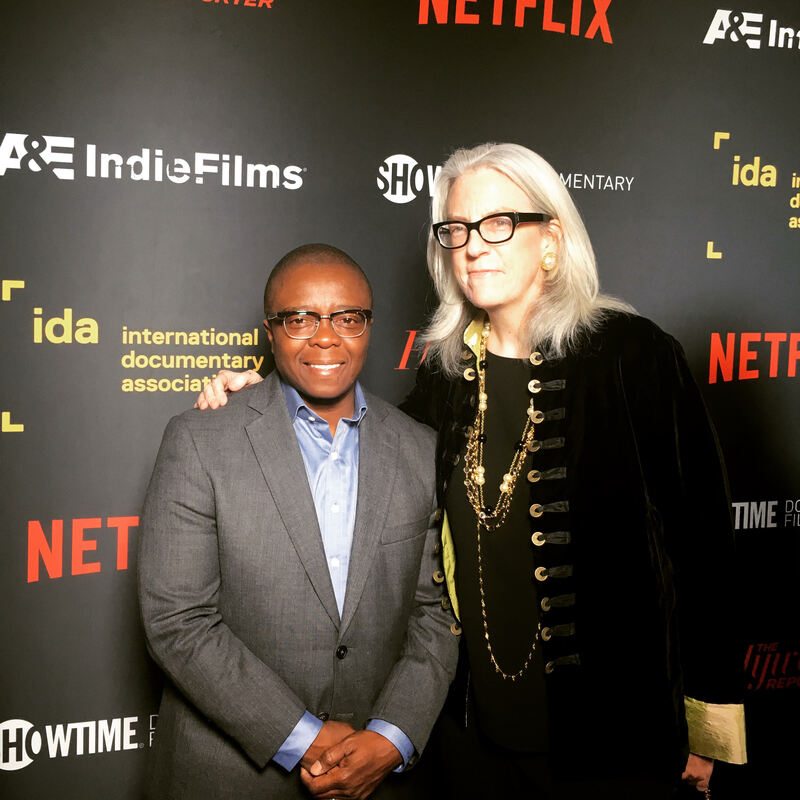 At the IDA Documentary Awards last month, a team of A-Doc representatives raised the issue of diversity in documentary with some of the attendees. How far have we come? How far do we have to go? How do we get there? A-Doc: How important is it for filmmakers termed as "diverse" to tell stories? Violeta Ayala, Director, The Fight (Nominee, Best Short Documentary): I think it's key. I think it's not just important but it's key because no one but us can tell our own stories. I am very proud to be an indigenous filmmaker from the Andes, to be telling my own stories and to be able to tell the stories with all of the complexity of a situation. If we don't control the media, we don't control anything, and if we don't change the narrative of what's happening, we are just being a trend. And I'm not going to be a trend. I've been making films for the past 10 years and I'm going to keep making films for the next 100 years. I don't feel represented by white women, and when I tell my stories, I feel that we can empower ourselves and we can inspire our own people. At the moment people say, "You're getting all the funding because you're a woman of color." So I think that it's not enough. It's not about anyone "giving" us anything; we have to keep taking it. I feel that everything that we have today—all filmmakers of color or women of color—is because we have fought very hard to get here. But I'm not here because I am a filmmaker of color. I'm here because I'm a very talented person, very proud and very secure about my work that I'm doing. 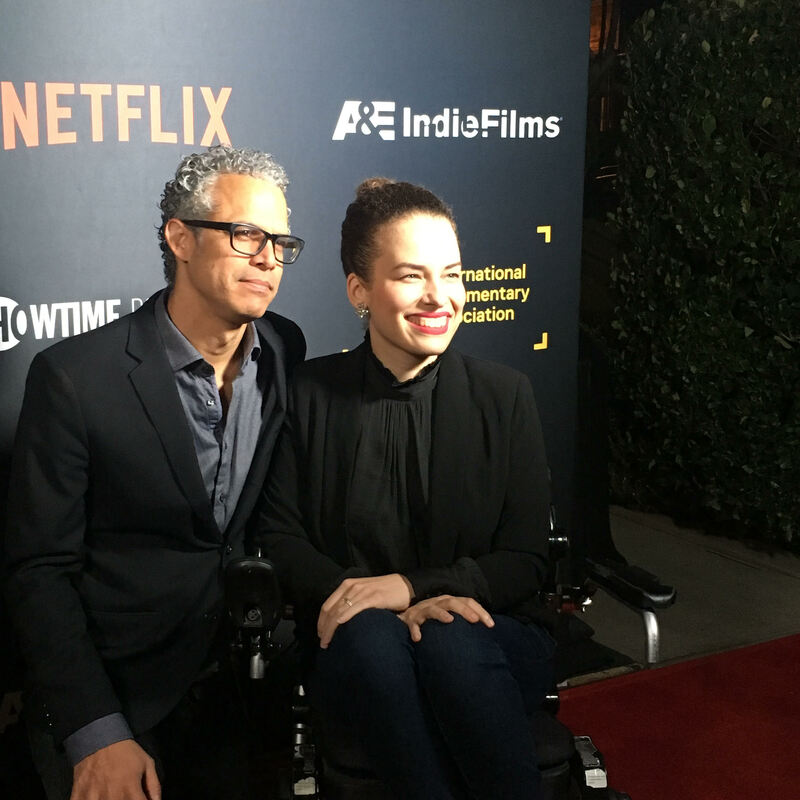 Jennifer Brea, Director/Producer, Unrest: I think there have been a lot of strides made in terms of diversity in the last five, 10, 20 years. Filmmaking is about telling stories about ourselves to ourselves. And so if the filmmakers and the "filmmaking," as such, don't reflect our society in its broadest sense, then you know we really haven't gotten there yet. I think we have a lot of work we can do here, still, around women behind the camera and also people with disabilities. It's probably the first time anyone who's in a wheelchair is on a shortlist [for the Oscars]. There are barriers and forms of exclusion that we aren't even talking about yet. So I think there's still a lot of progress to make. 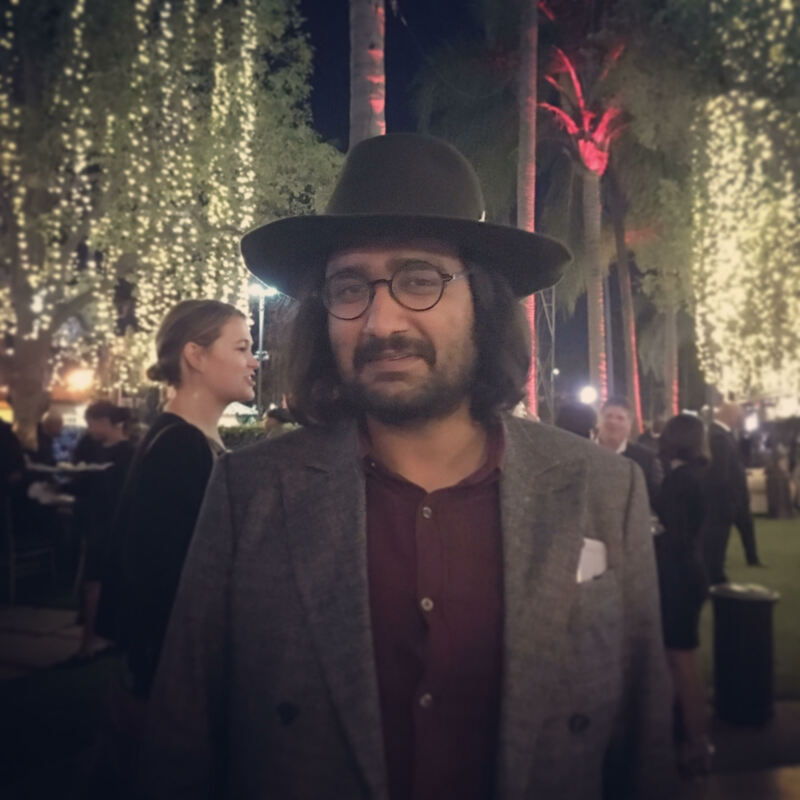 Rahul Jain, Director, Machines (Winner, Best Cinematography Award): I got to show one of the early rough cuts of Machines to an Indian filmmaker. It was the first time I showed it to an Indian person, while it was in a very early, nascent form. And this person was in complete awe because he said that it was the first time that he saw the representation of struggling brown bodies. And that is a term and an objective that I had never heard before: "Brown Bodies." I had never in particular thought of bodies to be brown, but he introduced me to this polarized imaginary perspective. This thought process led me to understand the idea of "representation" and the importance of what I was doing. In particular, I don't think I have felt any kind of particular compulsion to make the film for this reason—i.e of being a brown person representing brown bodies. But I understand that these images are proliferated in mass culture and so that definitely makes, or spreads, "thought" in a particular shade of color, if you will. I do think of "identity" on a scale—that is, on a perspective or on an intersection of scale. And I would like to think identity is an amorphous or liquid concept. And the biggest and the most important realization anybody could live with about this notion would be the awareness that they can always only be on one point in the intersection, while life exists on many others. I think this is why I do what I do, which is confronting and accepting and being aware and spreading awareness of this spectrum and the many different points of it. You mentioned that your next project is about pollution, and that you're moving back to India to make it. Who is your target audience for this film? RJ: I want people in India to see it, obviously, but I hope that it does not get segued or streamlined into a vehicle for identification of brown skin. I think pollution is a global phenomenon. The way that carbon moves in the air, it does not know any geopolitical boundaries. But different kinds of governments have different levels of regulations. And that does make a difference; it can keep one country very clean and the other, its neighbor, very dirty. So India, being the world's biggest democracy and a huge purveyor of free market capitalism, could serve—and I think does serve—as an analogy of the whole world in a capitalistic era where everything that's under the ground has been appropriated and allocated in numerical and economical value. This is happening everywhere. So I think the film is for everyone. I see it as a horror film. A-Doc: Do you think the field of documentary is improving in terms of diversity—for increased opportunities for makers and in representation? Yance Ford, Director, Strong Island (Nominee, Best Feature Documentary Nominee); Emerging Documentary Filmmaker Award Honoree: The documentary field, in comparison to the narrative field, is, I think across the board, more diverse. But I think when you take a step back and examine that diversity, unfortunately, the end representation is the same. The ratios are different because the community is smaller, but there is still an under-representation of people of color, of women, of LGBTQ people, of people of different ethnic backgrounds, from global perspectives, particularly in the United States. I know that during the 10 years that I was in public television as a programmer, we saw an increase in international submissions and in submissions by women filmmakers. But still, it's disproportionate. Now it's disproportionately white. And I think until there are more people of color and more women and until there are more LGBTQ decision-makers at the highest levels across documentary film, we won't actually have parity across all of these important fields of representation. And I think that it's important to have this diversity because we have had the "white gaze" at communities, at "other" communities, for so long, and they have been apologized for, for so long, that it is insanely important, now more than ever, to have people from these communities telling stories. Joslyn Barnes, Producer, Strong Island (Nominee, Best Feature Documentary): I agree we're seeing more women in documentary than in fiction filmmaking, including key crew like cinematography, editing, producing, as well as directing. But it is definitely class-based and it's still a privilege. Generally speaking, up to now, people making documentaries come from affluent backgrounds because the only way to actually survive is to have alternative forms of income or personal wealth. This has been true for a long time, but is now slowly changing with new funders in the field and people making a conscious effort to shift the class perspective as well as the race and gender perspective. I think it's super important. But the other thing is that we're now also seeing a disparity in budgets. As documentaries become commissioned by bigger funders and bigger budgets, we again see the trend towards the straight white man, and we see women being shoved aside and especially people of color being shoved aside across the board. So this is also happening at the same time as documentary is becoming a big business as well. JB: It's a good question. We counteract it by producing and supporting more and more filmmakers of color and, as Yance said, really trying to work with those perspectives, rather than shift those perspectives to fit a market model. Our premise at Louverture Films has never been, "How do we make films that fit the market?" We believe that the market is an illusion and a matter of perception. We'd rather make films that we want to see in the hopes that other people will want to see them as well. It's a very challenging thing to do, but I think the more people that do that, the more that it will prove the point. YF: We did our best to hire as many people of color as we could. We made a conscious choice to hire all of our production assistants from the New York Production Assistant Program, so they were mostly young men of color. Wherever we could fill a position with a woman or with a person of color, we did that. But you will see that the above-the-line representation and the below-the-line representation are examples of the kind of underrepresentation in the field that I am speaking of. How do you feel about winning the Emerging Filmmaker Award? And do you hope it will promote more visibility for people of color in documentary? YF: I'm incredibly honored that IDA is recognizing me with the Emerging Documentary Filmmaker Award. If you look at the history of this award, it has specifically recognized women, people of color and emerging voices that don't get recognized by the field at large. And so I feel I'm a part of a tradition the IDA has been a part of in really forefronting—which is to find emerging talent from underrepresented communities as well as from the traditional storytellers, and recognizing them and using their platform to elevate voices. So it's an incredible privilege to be honored in this way. A-Doc: Have seen change, over your tenure as an IDA Board Member and IDA Board President, concerning diversity? Marjan Safinia, IDA Board President: I think that organizations are really taking this issue seriously and trying to do their best. But I think for a lot of people, they don't really know how to do it very well yet. So there's a bit of fumbling in the dark going on. I think the intentions are right. I think the more tricky conversation that I've been encountering is the conversation with white men, who really struggle with this idea of representation. Honestly, I think white men aren't used to being told, "Maybe you shouldn't do this." Even though they're coming from the best of intentions, they find it difficult to accept that maybe, just maybe, they shouldn't be the first one in this line. That maybe they should allow a brown person or a woman or a gay person or whoever to tell their own story. So that's going to take us a while to navigate through so that that doesn't get taken so personally. And do you find that a challenge within IDA ? MS: I think IDA has made huge strides in the last few years. It's something that's tremendously important to [Executive Director] Simon Kilmurry, and we are doing much better both in terms of women and in terms of diversity. Our staff has become much more diverse. Our board is about to become a bit less diverse because there's a bunch of us brown people leaving, but I don't worry about it because it's so deeply ingrained in Simon's vision for the organization. Meena Nanji is an independent filmmaker based in Los Angeles. She is currently working on a film about British concentration camps in Kenya during the 1950s. Victoria Chalk is a British-Chinese film editor/fighter/Star Wars nerd. She enjoys storytelling, dim sum, and fast internet. She is currently editing PJ Raval's Untitled Jennifer Laude Documentary.